The most common question I hear when working with IT businesses is “How do I find new clients?”. The answer I always give to them in the first instance is a simple one – get out there and meet fellow businesses by attending networking events. 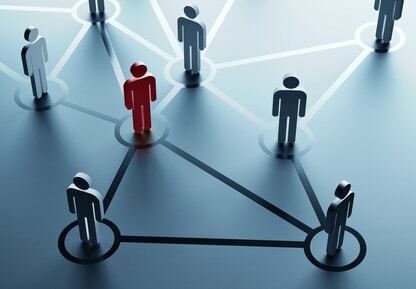 The old adage “People do business with people they like” is as true now as it has ever been, and so attending networking events where you can meet new people, build new relationships and strengthen existing relationships is very important and should be an integral part of any IT Solution Provider or Managed Service Providers (MSP) plans. But the push-back I often get from the IT businesses I share this advice with is “We’ve tried networking, and it doesn’t work for us”. “We meet the wrong people”, “It’s a waste of my time”, “I’ve nothing in common with the people I meet” are all common complaints I hear about networking events. I understand this attitude because I’ve been there myself. Dragging myself up at the crack of dawn to attend a networking breakfast which feels like a waste of time, or pushing myself to attend the latest Chamber meeting where people seem more interested in talking about their Sports teams than business. But attending networking events does work. You can meet the right people who you can do business with – either directly or indrectly. And these events don’t have to be a chore. Here’s my 3 ways to succeed at networking before attending the event. Choosing the right networking event to go to is key. But how will you know the right event to attend? By asking your contacts! Rather than randomly signing up for an event you’ve found via Google, why not ask your clients, your strategic alliance partners and other business owners near to you which events they attend? More often than not they’ll point you in the right direction or even invite you to join them at the next event they are attending – which has the bonus of meaning they can introduce you to others when you are there. While there’s no guarantee that the events others recommend to you will be an ideal fit for you, experience tells me that a recommendation from others is a much better way to choose where and when to spend your time than any other way of picking an event. I’m still surprised by the number of attendees at networking events who don’t bother to do research to find out who else is attending the same event. Most progressive networking events – especially members events – publish an attendee list prior to the event to allow others to see who is attending. You can scan this list and do some research on your fellow attendees, understanding the people in the room you think would be best to meet and then seeking them out at the event itself. Knowing who you want to meet and why is preferable to turning up at the event and hoping that you bump into somebody who you have something in common with! Even if the attendee list isn’t published prior to the event, when you arrive at the event there is often an attendee list you can scan, or you can ask the event organiser if you can check who is attending. Most will be happy to share. I can’t tell you the number of networking events I’ve attended where I’ve announced I’m attending the event on my Social media feeds – such as LinkedIn, Twitter and Facebook – and somebody at the event has sought me out to say hello to because they knew I was attending. I’ve even (flatteringly) had people tell me they’d decided to attend events because they saw I was going, and so decided to come along too! By announcing you’re intention to visit the event on Social Media, you’re doing two things – giving the event a plug to ensure that more people are aware of it, and giving others the opportunity to seek you out at the event itself. Networking events are still a sure-fire way to build relationships and win business – but only if you choose the right networking events, do your preparation before hand and use Social Media to link up with others. People do business with people they like. Make sure people have a chance to meet and like you! PrevPreviousSlingr – Buy someone a drink from anywhere in the world!